Searching for a Certified Pre-Owned Toyota? 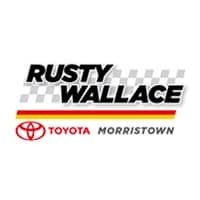 Look no further than Rusty Wallace Toyota! To see the latest Certified Pre-Owned Toyota models and learn about your financing options for these vehicles, contact us or stop by Rusty Wallace Toyota in Morristown to see our great selection!